Work on processing the Indian Rights Association records (Collection 1523) has begun and will continue for the next three months. This is another one of the Civic Engagement collections funded by NHPRC. Since portions of the collection had been previously processed here at HSP our work will consist of arranging the part of the collection that haven’t been touched (multiple boxes of unsorted materials), integrating it to the processed portion, and creating an updated guide to the collection. To help with all this work we have the help of a wonderful intern, Jenna Marrone that comes to HSP with previous archival experience obtained with the PACSCL/CLIR project. The Indian Rights Association records (IRA) is a very rich collection featuring materials of interest for those researching the history of Native Americans, particularly the work and lobbying done on their behalf in the nation’s capital. The IRA was founded in 1882 by Hebert Welsh and Henry S. Pancoast with a main office in Philadelphia and a field office in Washington. The organization had two chief purposes: to protect the interests and welfare of the American Indian, and, in the association’s own words, “to bring about the complete civilization of the Indians and their admission to citizenship”. Paternalistic attitudes aside, the IRA was for the first forty years of the twentieth century the major non-governmental organization offering support and protection to Native Americans. Besides its work as a lobbying group on behalf of Native Americans, the association monitored the policies and actions of the Secretary of the Interior, the Bureau of Indian Affairs, and the Board of Indian Commissioners. They also helped create or promote legislation favorable to the Indian cause, and in some cases actively supported legal cases in both state and federal court. To spread knowledge about Native American culture and the association’s work, the IRA published many pamphlets and a serial titled Indian Truth. Documents in the collection span form 1830 to 1986 and include correspondence, organizational records, pamphlets, annual reports, draft legislation, photographs, audio-visual materials, maps, and clippings. Also in the collection we can find materials from the Council of Indian Affairs, documents about traditional Pueblo Indian dances, and legal papers about struggles faced by the Oklahoma Indians, and papers generated by Herbert Welsh. As a sample of the contents of the collection here’s a letter by a William Phillip Knight, asking IRA for help with a freedom of religion problem while incarcerated in Ohio in 1984. An updated finding aid for the collection will be published in the upcoming months, though you can access the current finding aid on our website here. 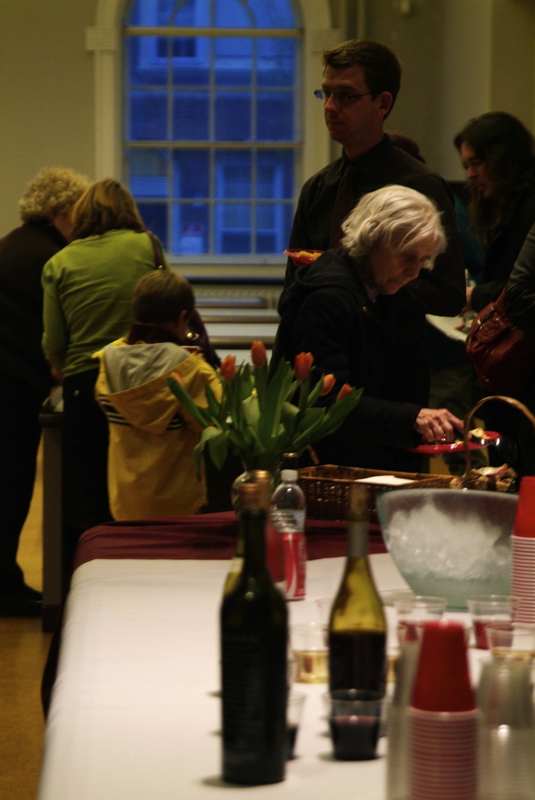 Yesterday, April 5th, 2011, we at HSP hosted an event for the new, Musical Finding Aid. What does this mean, you ask? Do not fret, if all your questions aren’t answered in the next paragraphs please leave a comment! His words aptly sum up the trajectory of this project called the Musical Finding Aid. It was brought into fruition by 5 musicians: Willhem Echivarria, Maurice Wright, Ted Houghtaling, Max Lawrence and Andrea Clearfield. To hear their musical creations click on the links below. 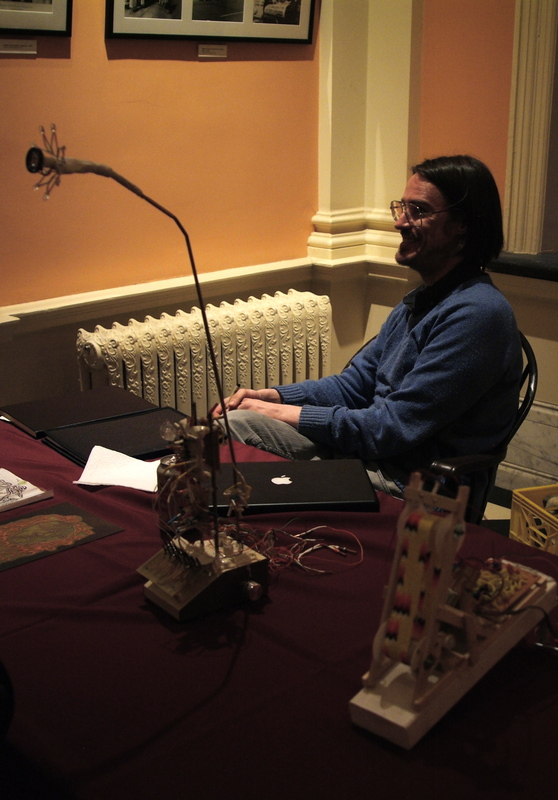 The event last night was graciously made possible by Pennsylvania Humanities Council, HSP staff volunteers, the finding aid musicians, HPP and of course Matt Shoemaker. For those that did make the event and for those that could not be there please feel free to browse the photos below. 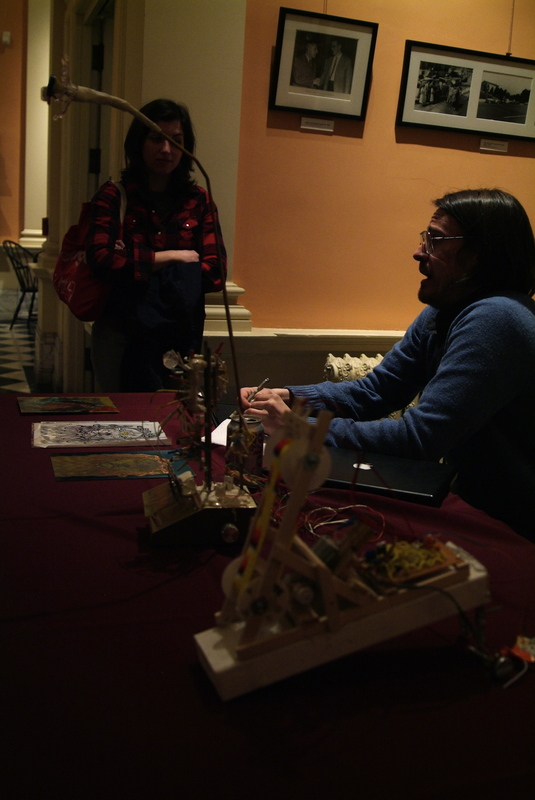 Exhibition created by Max Lawrence. 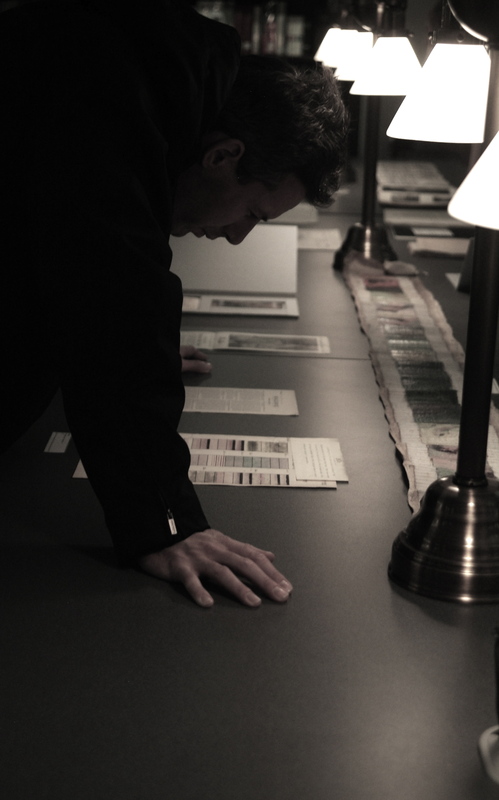 What does it take to develop an active archival collecting program? How can we focus our acquisitions on the materials we really want to collect, rather than simply the ones people offer us? Overseeing archival acquisitions is one of my main tasks at HSP. We collect a wide variety of materials, some of them mundane, some of them unique and wonderful. 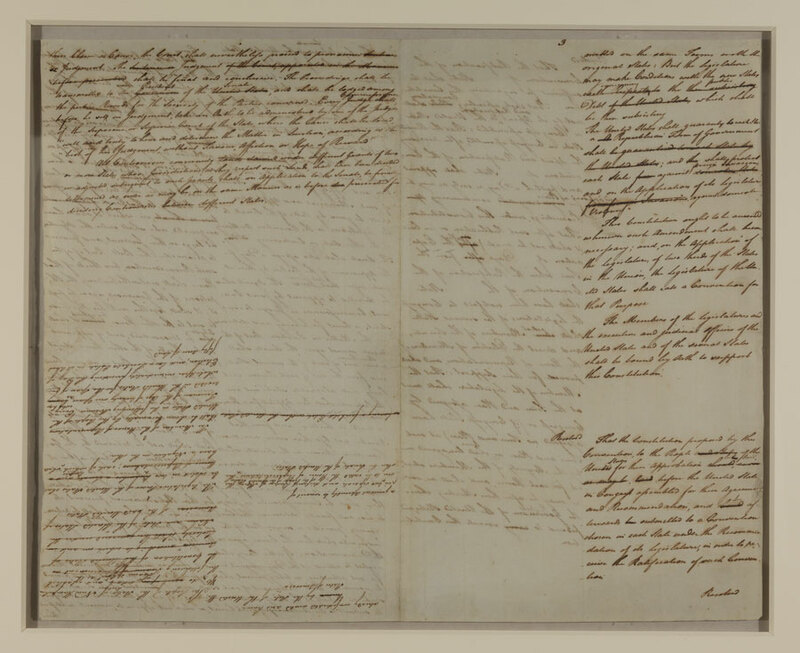 Over the past half year, as examples, we’ve taken in the letters of a U.S. Army corporal who worked at General MacArthur’s occupation headquarters in Tokyo, 1946-47; a set of 22 daguerreotypes and ambrotypes depicting members of a Philadelphia-area family in the 1860s; letter and account books of a 19th-century Lehigh Valley tannery; compositions of an early 20th-century Italian American composer; and papers documenting a World War II Red Cross program to pack and ship care packages to Allied prisoners of war. HSP’s archival collecting is guided by our board approved collection scope document and a more detailed set of collecting guidelines written by staff. Although we purchase a few small collections each year, most material comes to us as donations. And almost all of our collecting work is passive, in the sense that it starts with a phone call or email from someone who has something to offer, rather than with us going out and soliciting collection donations. There have been two reasons for this — space and time. First, the collection shelving currently in our building is almost full. By limiting our acquisitions to collections that people bring us, we’ve put off the day when we would have to say, “Sorry, no room.” Second, going out and actively looking for new collections takes time — potentially a lot of time if we want to do it systematically. Being chronically understaffed like most archival repositories, we have to think very carefully about how we allocate staff time. This situation began to shift very recently, when HSP secured state and city funding to help pay for some critically needed building renovations — including installation of compact shelving in three storage vaults. This will give us about 7,000 more linear feet of storage space — not a huge amount, but enough to buy us about ten years of breathing room. Longer term, we’ve begun exploring other possibilities for expanding our storage capacity. Suddenly, one of the two barriers to active collecting — lack of space — seems to be crumbling. Developing an active collecting plan involves many different elements. For example, to help us define our area(s) of focus for active collecting, we need to identify major areas of strength and major gaps in our existing holdings, and in the holdings of other leading repositories in the Philadelphia region. More broadly, we should try to identify topics within our collecting scope that are significantly underrepresented in the documentary record. Ideally, this work would involve conversations with other departments within our organization, colleagues at other repositories, and scholars and other researchers in a variety of fields. Along with a clear area of focus, we also need a clear work plan. Active collecting is largely about building relationships — getting to know some of the people and organizations that have potential collection materials; talking with people about what archives do and what’s involved in donating papers; and learning about their experiences, histories, and perspectives on what’s important to document. As much as possible, I think it’s important to approach collecting as a collaborative relationship, not just “taking people’s stuff,” but working with them to preserve their history in a way that addresses their needs and concerns. These are just a few preliminary thoughts. I hope to be giving these issues a lot more thought in the weeks and months ahead. This month HSP begins a new 26-month project to process and conserve fourteen collections related to civic engagement in Philadelphia and beyond. Willhem Echevarría has already started work as project archivist, and in December he will be joined by Leah Mackin as project preservation technician. Previously, both Willhem and Leah worked on our Chew papers project and Digital Center for Americana pilot project, and we’re fortunate that they’ll be continuing on with this new initiative. 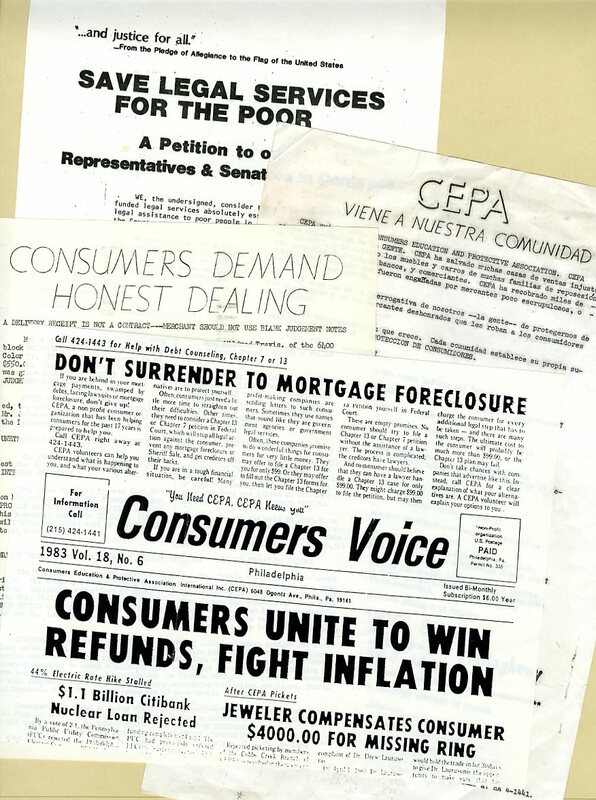 In this blog post I’d like to talk about some of the reasons I’m excited about the Civic Engagement Collections project and efforts surrounding it. The project deals with collections documenting a wonderful variety of people and organizations. These range from Albert Greenfield (real estate broker turned banker, politician, and philanthropist) to Morris Milgram (socialist activist turned integrated housing pioneer and developer of planned communities). From Anthony Biddle, Jr. (elite-born diplomat and military officer) to Max Weiner (who helped launch a grassroots consumer protection movement in the 1960s). 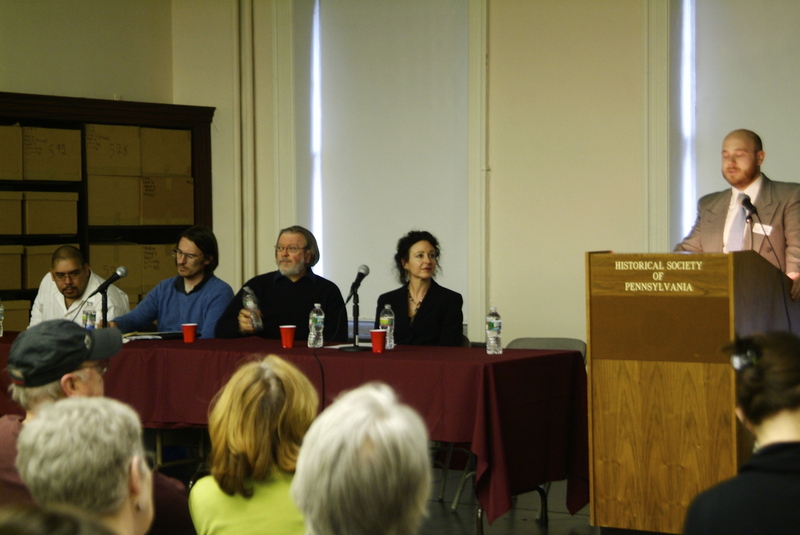 The project includes the papers of reformers across three generations: Herbert Welsh, who from the 1870s to the 1930s tackled everything from imperialism to forestry to civil service rules; Richardson Dilworth and Natalie Saxe Randall, who helped lead Philadelphia’s political reform movement after World War II; and John Fryer, psychiatrist and gay rights activist, who in 1972 helped persuade the American Psychiatric Association to remove homosexuality from its list of mental disorders. 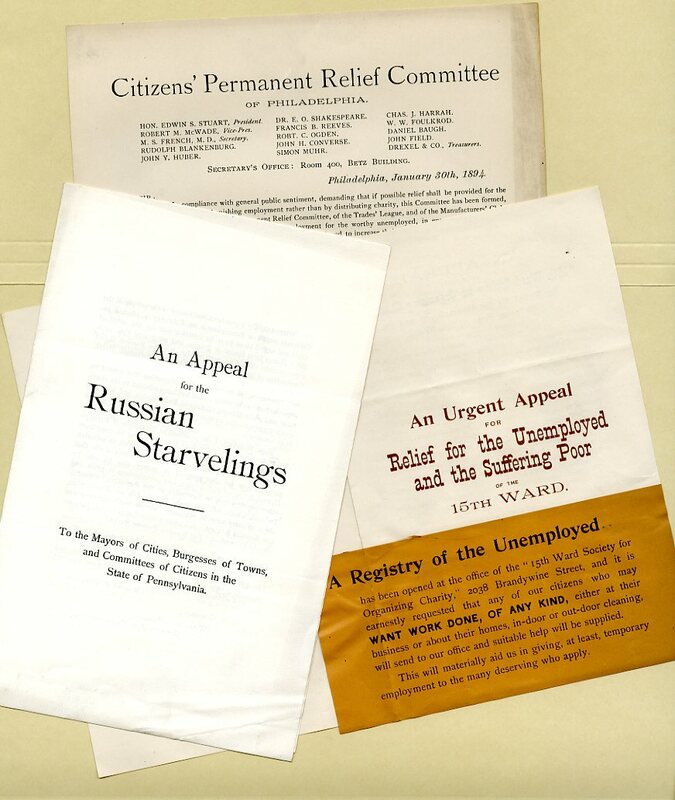 Organizational collections in the project include the records of the Citizens’ Permanent Relief Committee, a late 19th century philanthropic group that aided people harmed by natural disasters, famine, war, or political repression; and the Indian Rights Association, which played a key lobbying role from the 1880s to the 1930s around its paternalistic aim to “bring about the complete civilization of the Indians and their admission to citizenship.” There are also six decades of records of the League of Women Voters of Philadelphia, which promoted women’s political participation and took stands on issues ranging from child care and public education to the United Nations and the Marshall Plan. I’m especially pleased that this project will enable us to digitize 160 hours of phonograph recordings from the Philadelphia Fellowship Commission, a pioneering civil rights coalition formed in 1941. To help promote its multi-cultural ideals, in the 1940s and 50s the commission sponsored a series of radio plays, stories, and interviews with people of diverse racial, ethnic, and religious backgrounds. The Civic Engagement project will make these recordings publicly accessible for the first time since they were broadcast. While HSP is rightly famous for our pre-20th century collections, the fact that we also have rich collections up through the late 20th century receives much less attention. For example, most of the applications to our research fellowship program (a collaboration with the Library Company of Philadelphia) focus on our pre-20th century collections. The Civic Engagement project – which primarily deals with 20th century collections — is part of our plan to change all that. A related effort is our recently launched Greenfield Project, funded by the Albert M. Greenfield Foundation. This will endow a research fellowship in 20th-century history and create a web portal focusing on 20th-century collections and featuring related interpretive material. The Greenfield Project funding also covers archival processing work on the Greenfield Papers, which is part of the Civic Engagement project. The Civic Engagement project is funded primarily by the National Historical Publications and Records Commission (NHPRC), the grant-giving arm of the National Archives and Records Administration. The NHPRC has gone farther than any other major archives funder in embracing MPLP principles. To get NHPRC funding for a “detailed” processing project, including any descriptive work below the collection level, a repository has to ensure that virtually all of its collections are or will soon be open for research and locatable online. This embodies one of MPLP’s key tenets, that repositories should provide a basic, minimum level of access to all their collections before giving intensive attention to a select few. HSP’s Archives Department wholeheartedly endorses this approach. For the first time ever, we will soon provide online collection-level descriptions for all our archival holdings, through a new online guide that will launch later this year. Processing work on the Civic Engagement collections will be based on MPLP principles as well. This means that some practices will be streamlined to speed up processing and make more collections accessible more quickly. For example, collections may receive only rough arrangement below the sub-series level. Non-archival folders will be replaced only if they are damaged or do not fit in an archival box. And, yes, metal fasteners will be removed only if they are rusty or pose a hazard to users. Staff time for this project has been allocated based on an average of 2.6 hours per linear foot for processing work and 1.25 hours per linear foot for conservation work. HSP has five different processing levels that we use depending on the specific collection, and guidelines for this project are based on our Level 3 protocol, in the middle of the range. The Civic Engagement project is interconnected with a consortial processing project that HSP is participating in. The PACSCL Hidden Collections project, funded by the Council on Library and Information Resources, is processing collections at 24 institutions, including HSP. 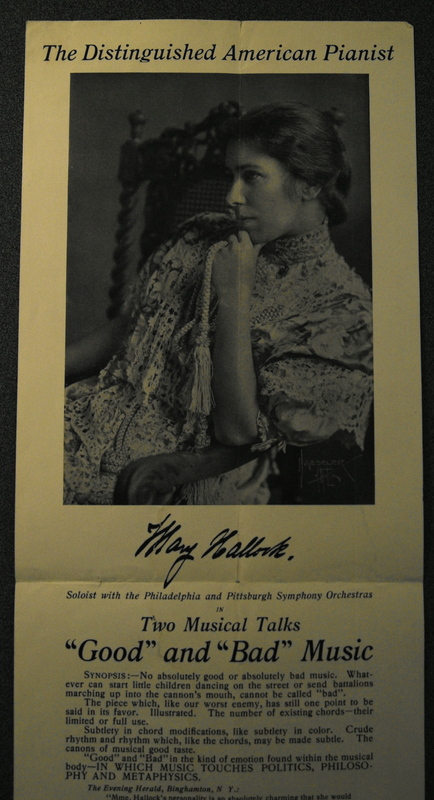 (PACSCL stands for Philadelphia Area Consortium of Special Collections Libraries.) The two projects share the same processing methodology and were developed in close coordination with each other. HSP staff helped design the PACSCL project, establish its standards, and write its manual. PACSCL project staff, in turn, has helped to train HSP staff in the use of MPLP principles and Archivists’ Toolkit. Two collections in the Civic Engagement project (League of Women Voters of Philadelphia and the World War II collection) will be processed by PACSCL project staff at HSP, working alongside HSP staff. This type of interchange enriches our work and helps us see our tasks as part of a regional effort. Recently the Historical Society of Pennsylvania acquired a small collection called the Pisano and Siciliano Families Papers. 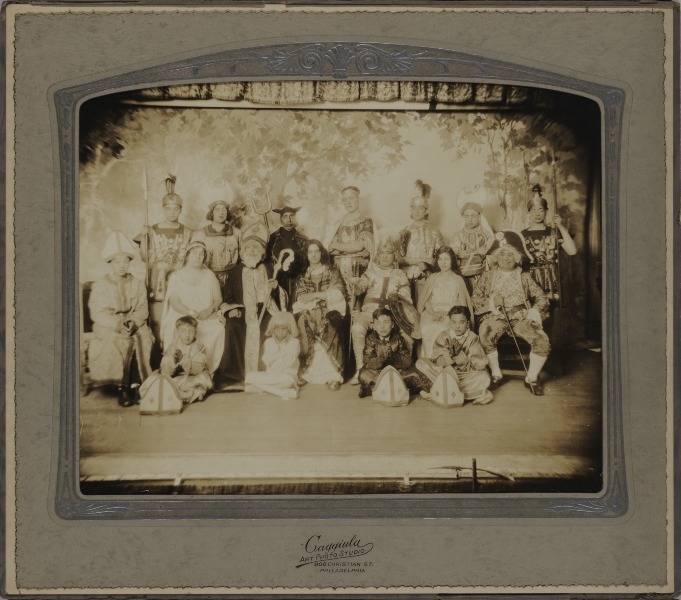 Through photographs, vital records, family histories, and other materials, this collection documents two Italian families whose members came to the United States in the early 1900s and settled in South Philadelphia and Camden, New Jersey. A highlight of the collection is the handwritten poetry of Antonio Nicola Pisano (1894-1979). Mr. Pisano, who immigrated to the U.S. at age sixteen and worked mainly as a shoemaker, had only three years of formal schooling but loved learning. He traveled from house to house, reading his poems to friends and neighbors, sometimes accompanied by musicians. Pisano was also an actor, director, and playwright, and founded a local theater troupe called the Philadelphia Filodramatic Circle Gasperinese. The collection includes several handwritten plays that were probably performed by the group. The Pisano and Siciliano Families Papers were donated to HSP by Donna Meidt, Antonio Pisano’s granddaughter, who also contributed funds to process the collection through HSP’s Adopt-a-Collection program. One of the notable things about this donation is that Donna Meidt came to us through the PhilaPlace project. As many readers of this blog may know, PhilaPlace is a neighborhood history and culture project, sponsored by HSP in collaboration with several other institutions and community groups. The project, which has sparked enthusiastic interest, includes a website where Philadelphians can share their experiences and memories through photos, documents, essays, and oral history recordings. (See for example, Donna Meidt’s contributions about her great-grandmother and grandfather.) The site also features interactive maps, podcast tours, K-12 lesson plans for teachers, and a blog. Beyond the website, PhilaPlace encompasses public events, teacher workshops, trolley tours, exhibits, and printed neighborhood guides. PhilaPlace’s emphasis on collaboration and developing community relationships reflects Project Director Joan Saverino’s background as a folklorist, as well as the hard work she and Project Coordinator Melissa Mandell have put in over the past three years. The project has done a great deal to bring HSP favorable publicity and community goodwill. It has also benefited HSP’s collections work in more specific ways, such as providing much of the impetus to develop a full-fledged collection digitization program. And recently, when I needed an oral history release form to send to a collection donor, I was able to adapt one that was created for the PhilaPlace project. HSP is currently exploring ways that we can more closely integrate PhilaPlace with HSP’s processing, conservation, and digitization of collections, with a shared emphasis on community networking and collaboration. What constitutes a draft of the U.S. Constitution? What constitutes a draft of the U.S. Constitution? This sounds like a rather simple question, but it is actually very complex. 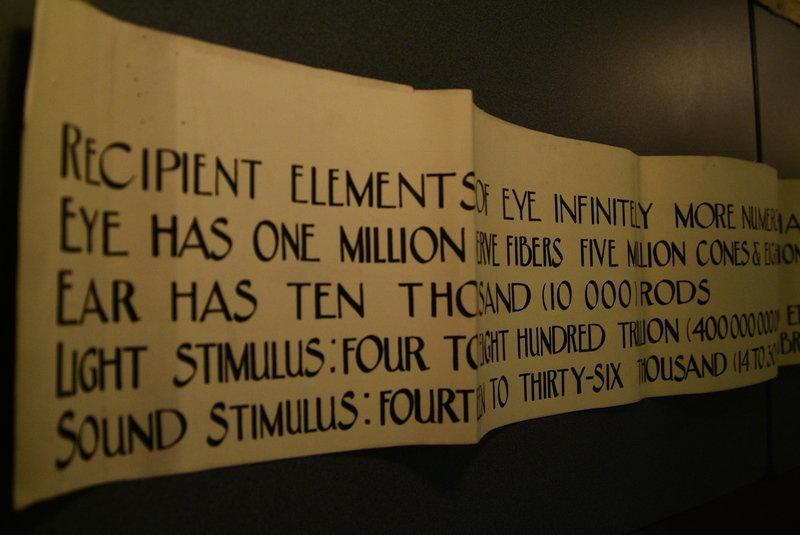 The Historical Society of Pennsylvania (HSP) is home to millions of documents. Of these, we have considered six of them Constitutions. 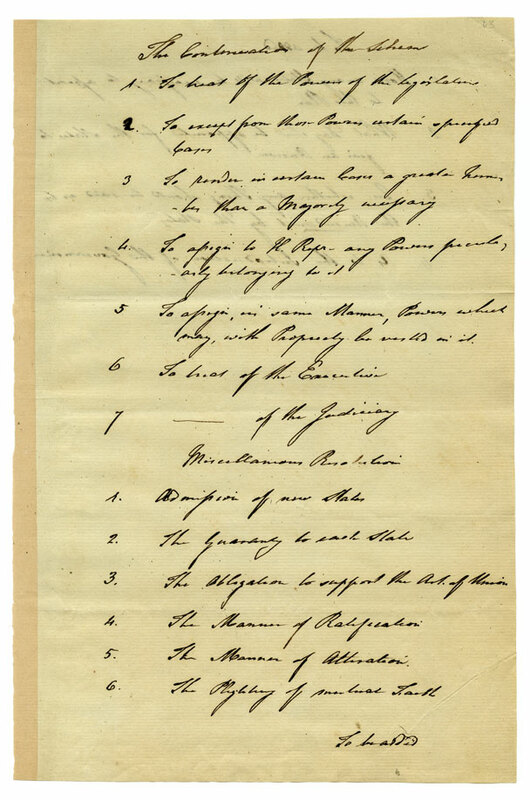 HSP has what we call the First and Second Drafts (both in James Wilson’s hand), Edmund Randolph’s copy of the First Printed Draft, Jacob Broom’s copy of the Second Printed Draft, one of the “official” copies printed for the Constitutional Convention, and the Pennsylvania Packet printing of the Constitution (the first public printing of this document). 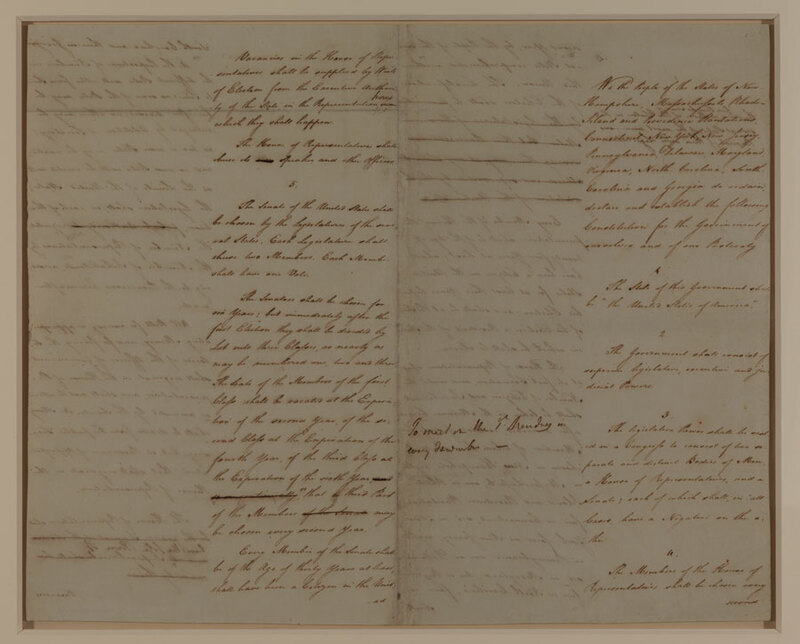 Recently a researcher, examining the second volume of the James Wilson Papers, came across a document (we’ll call it Mystery Page 63) which she believes is not only part of a Constitutional draft, but is actually a page two of a third draft of the Constitution. Here is where it gets tricky. On the backside of the second sheet of Wilson’s First Draft, there are three upside down paragraphs with the opening wording “We the People…” Scholars have always been aware of this “upside down” text. They have also known about page 63. The text has been published and used by scholars for a century, since Max Farrand published a transcript of this document, and even linked it with the “upside down” text in 1911. Generally, scholars have described this document as more notes from the Committee of Detail than as an actual draft. The researcher who called our attention to Page 63 of the Wilson Papers believes that the “upside down” text is really the first page of another Constitutional Draft (and Page 63 being the second). What do you think? We have provided links to several of these documents as well as soliciting Constitutional scholars for their thoughts. Whether folks believe this is a new found draft or simply notes from the Constitutional Convention, there is one point both sides can agree on. 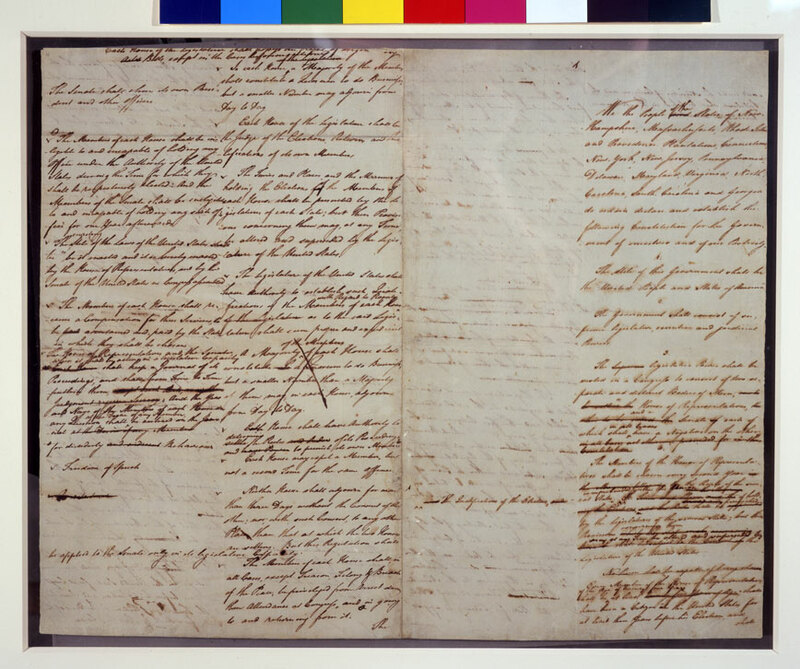 HSP’s collection of Constitutional documents allow researchers to study the entire process of the making of this great document: from Wilson’s first pass at pen to paper all the way to the first public printing in the Pennsylvania Packet newspaper. The role of the staff at the Historical Society is to keep these documents in a safe, archivally secure environment and to facilitate research. We have been doing so since 1824. Your support of HSP allows us to continue to do so for another 186 years. Read the 2004 article “Treasures from the Founding of the Nation” covering different versions of the U.S. Constitution held at the Historical Society of Pennsylvania. I have been working on processing the Andrew Atkinson Humphreys papers for the past month and a half, and am looking to finish them up by the end of this month. This 111 linear foot collection consists of military records related to the Civil War, Humphreys’ work as a surveyor and topographical engineer, papers related to the Bounty Fund and the Sanitary Fair, family papers, Humphreys’ writings, and many other items. One of the most puzzling things about this collection is the amount of material that is seemingly unrelated to A.A. Humphreys’ life and work. The first question I had about the collection was “why did Humphreys have so many of Frank Etting’s papers?” The first 40 linear feet of the collection I rehoused consisted of payment vouchers to Civil War soldiers signed by Frank Etting, General Paymaster. 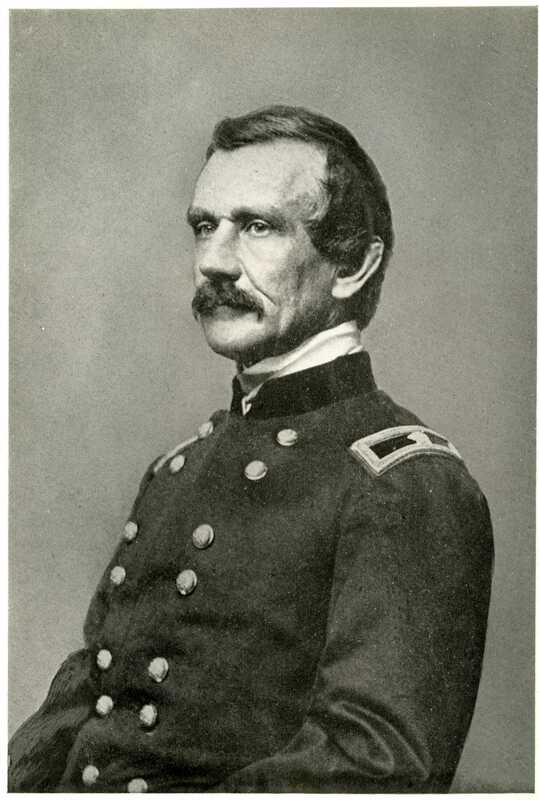 I later learned that Humphreys was Meade’s Chief of Staff during 1863-1864, which might explain some of these vouchers. I didn’t worry too much about these materials, though, since they fit in with Humphreys’ work in the Army of the Potomac. The next discovery was a run of 15 boxes of petitions that were collected in nearly every county in Pennsylvania during the 1830s and 1840s. 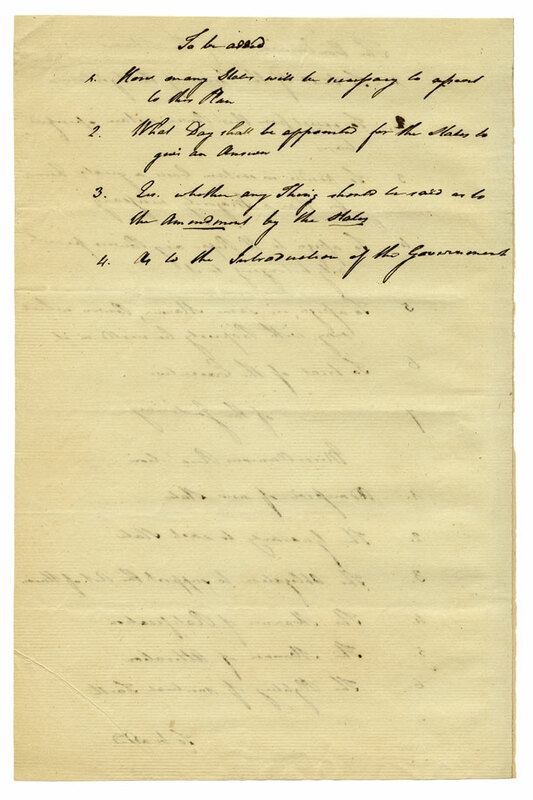 The language of the petitions covered topics like temperance, pleas for bounties on wildcats, requests for intervention in personal matters (this was usually on behalf of a widow or a woman who separated from her husband), and petitions against the death penalty. Humphreys was not involved in politics, as far as I can tell, so these petitions are a puzzle in and of themselves. When I started unfolding the bundles, the questions only got more complex. I began to find letters, receipts, and other documents addressed to, or written by, Levi Hollingsworth. HSP owns the Hollingsworth papers, so I did some detective work to try to uncover the connection between Humphreys and Hollingsworth. I found out that Humphreys had married into the Hollingsworth family, and also that when the Hollingsworth papers were donated, they were called the Morris-Hollingsworth papers, suggesting that the Morris family papers may have also been part of the Hollingsworth family papers. Cary and I wondered whether all of these collections were sitting near each other on the shelf when a massive rehousing project took place during the WPA, but we merely speculated about this…. This information about the Hollingsworth-Humphreys connection did little to help me understand why these petitions were included with the Humphreys papers, so I put them aside for the moment, and determined that they might be best housed with the Hollingsworth family papers. More puzzles arose on Friday when I opened the small run of boxes labeled “Letters to Edward Armstrong, Secretary of North Pa. RR Co.” Silly me, I assumed that these boxes would contain letters between Humphreys and Armstrong, or from Humphreys to Armstrong, but NO. Instead, what I found were letters addressed to Armstrong from many people, but not Humphreys. I see no connection at all, in fact, nor can I find any information about Armstrong to help me understand the connection between the two men. I did find a few petitions mixed in with Armstrong’s letters, and the bit of information I found about him said that he was an attorney, so suddenly I started to wonder if the petitions were connected to Armstrong. But, then, how was Armstong connected to Humphreys, and why would Humphreys have his papers? I am writing this, primarily, as a plea for help. If anyone out there in the reading audience has any idea how these pieces are connected, I would be more than pleased to hear your thoughts or know of any reference sources that could help. In fact, if you can offer any useful information that can help me to make a coherent finding aid to this collection, I will personally pay for your next research visit to HSP. I’m all ears… And thank you.